We want to hear from you. Whether you found someone from your family tree that must come home to you or a special valentine, commission pieces are available upon request and can be produced in quantity for fundraising events. We love an excuse to explore a new cemetery! One of our first custom pieces we did many years ago for our friend Jennifer who resides in Hurricane, WV. 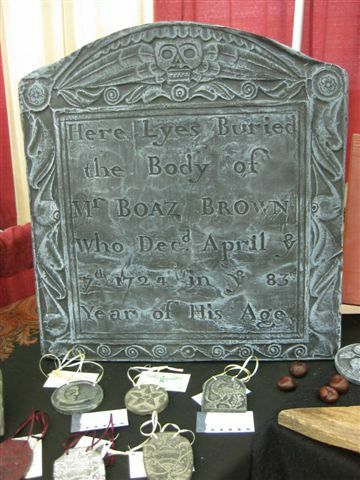 Show is our reproduction of her 7th great grandfather’s stone that can be found in Concord, MA. Measures about 2′ x 2′.